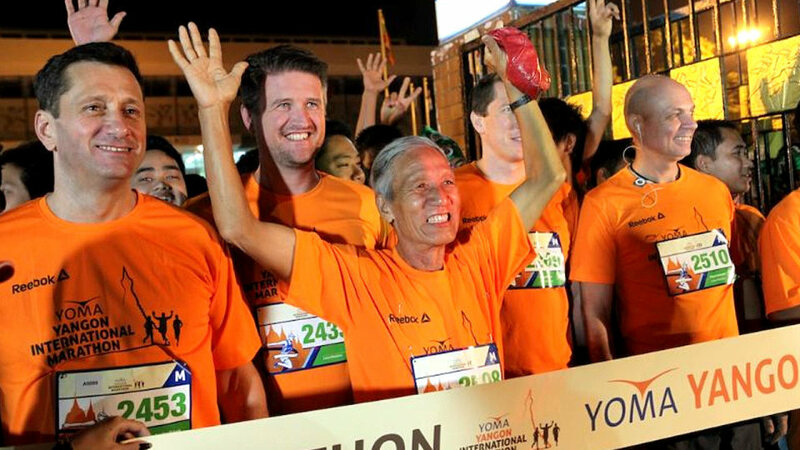 The Yoma Yangon International Marathon is Coming Back to Myanmar in 2015! 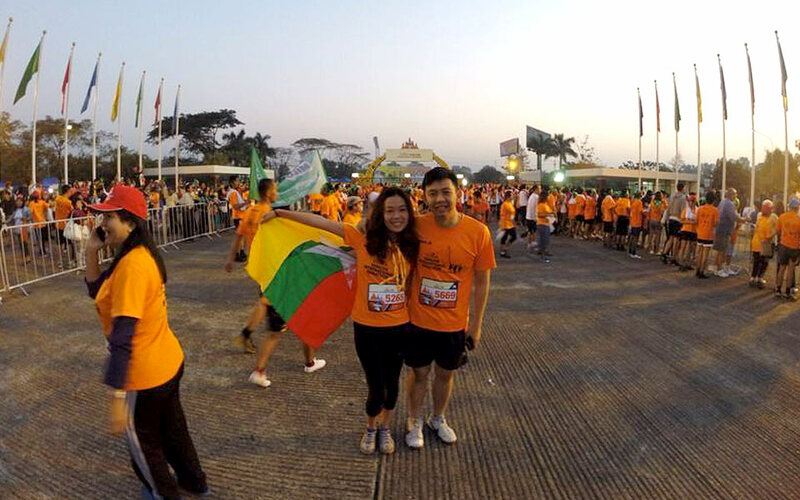 Riding on 2014's success as Myanmar's largest and Yangon's only marathon event which attracted around 3,000 runners, next year's Yoma Yangon International Marathon will yet again bring together runners, supporters, volunteers, corporates and the community through a mutual passion for running! The third annual YYIM will take place on Sunday, 11 January 2015. 2 New Categories Added for 2015 Race! Bolstered by the positive feedback, YYIM 2015 targets 4,000 runners next year. Aiming to inspire athletes and connect communities both locally and internationally, the 10km challenge and a 3km Fun Run was made available to cater to runners across all levels. Both the full marathon and half marathon categories remain similar to past years. Participants can expect to be treated to a visual feast as they weave their way through Yangon's unique blend of modern and rustic architecture, passing iconic sites including Botahtaung Pagoda, Shwedagon Pagoda and Inya Lake. A new philanthropic component will be introduced for YYIM 2015 whereby selected Charity Ambassadors will use the race as a platform to raise funds and awareness for the chosen charities. Although the charities have yet to be named, the common theme will be charities that support children in Myanmar. The Charity Ambassadors include Grace Swe Zin Htaik, renowned Myanmar actress and social activist, Aung Chit Kin, Principal & Founder of Strategy First Institute and Managing Director of ACK & Co Services Company Limited, Lung Sitt Ja Moon (Ah Moon), singer and member of pop group “Me N Ma Girls” and War So Moe Oo, an up and coming model and actress. Race participants are also encouraged raise money for the charities by personal sponsorship or donation. Registration for international participants is easy and fuss-free! Sign up before 10 October 2014 to receive early bird discount rates for the Full Marathon (US$44), Half Marathon (US$36), 10km Challenge (U$28), 3km Fun Run/Walk (US$18). 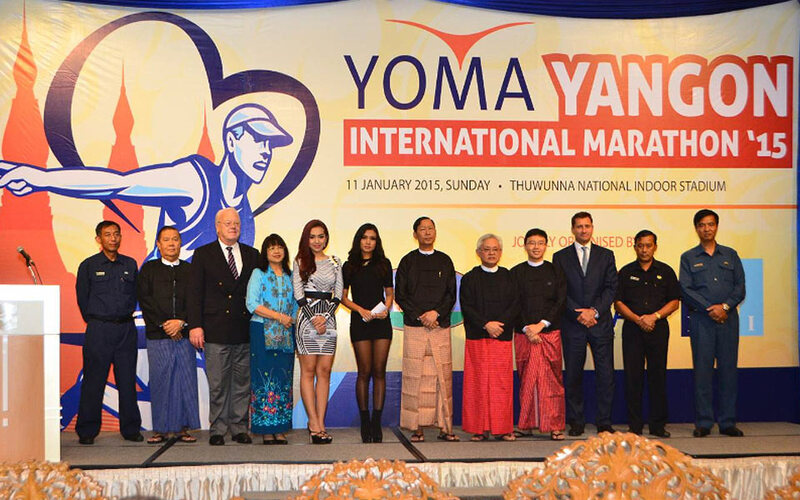 The third Yoma Yangon International Marathon will take place on 11 January 2015. Registration for YYIM 2015 is now open till 12 December 2014, so act fast!